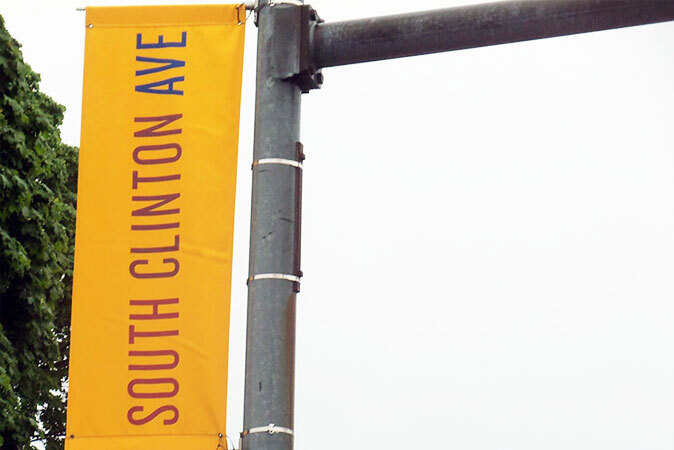 South Clinton Avenue An example of "destination branding", the South Clinton Merchants Association wanted to increase the public’s awareness of this Rochester neighborhood’s retail & commercial opportunities, in an effort to attract visitors and new businesses. 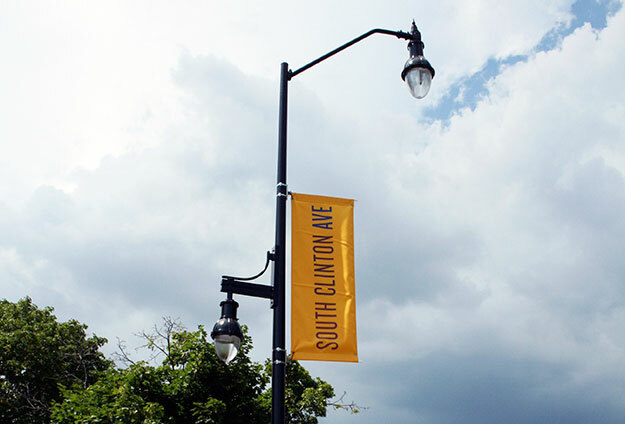 South Clinton Avenue, located in proximity to Rochester, NY’s hip Southwedge neighborhood, is an internationally diverse area where you’ll find specialty shops featuring items from all around the world, sitting side-by-side with services you need every day. 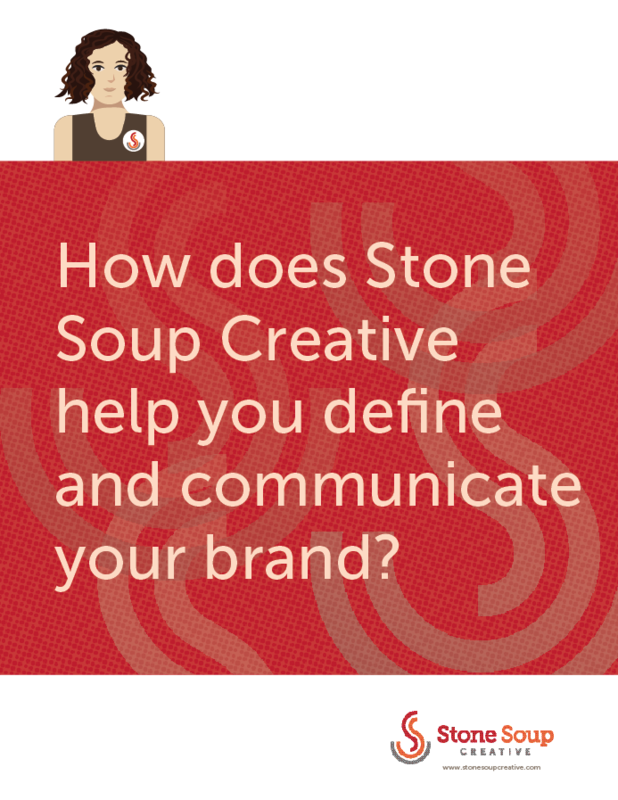 You can shop for arts and crafts from Asia, India and Africa, get your car repaired, pick up groceries at a corner market, purchase a computer or air conditioner, and take in a movie at a classic Art Deco-style theatre. Eat out at an Indian, Middle Eastern or Chinese restaurant one night, get a burger at an vintage diner the next. 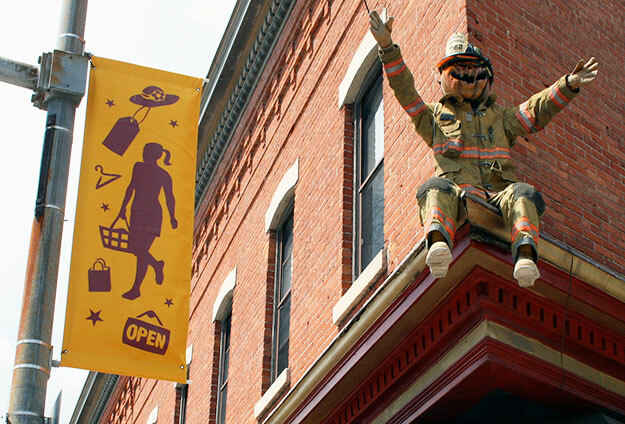 Top off your evening with a visit to a lively coffee houses, cafes or bars. 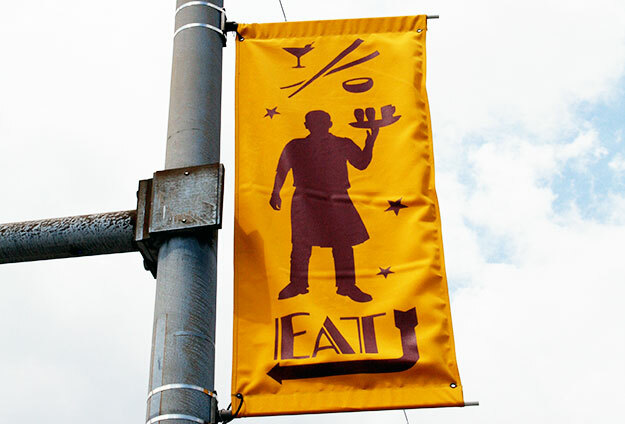 Rounding out the neighborhood are several light manufacturing and service businesses, vital non-profits, and vibrant neighborhood associations. 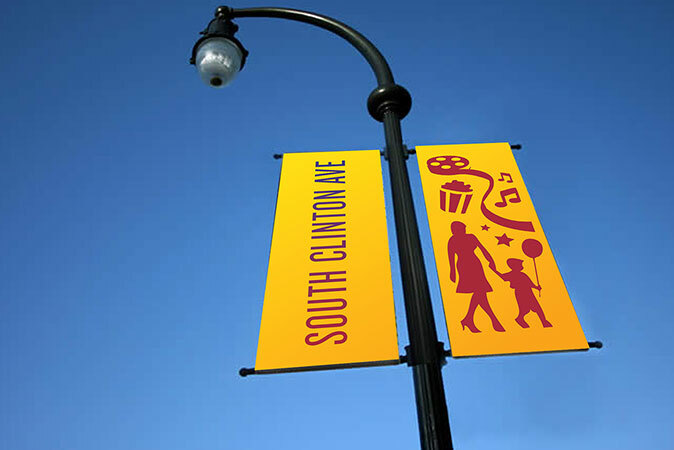 Our client, the South Clinton Merchants Association (SCMA) – which works with members to promote a strong business environment, that in turn supports a healthy and vibrant neighborhood – wanted to increase the public’s awareness of the neighborhood’s retail and commercial opportunities, including many flourishing international eateries, in an effort to attract visitors and new businesses. 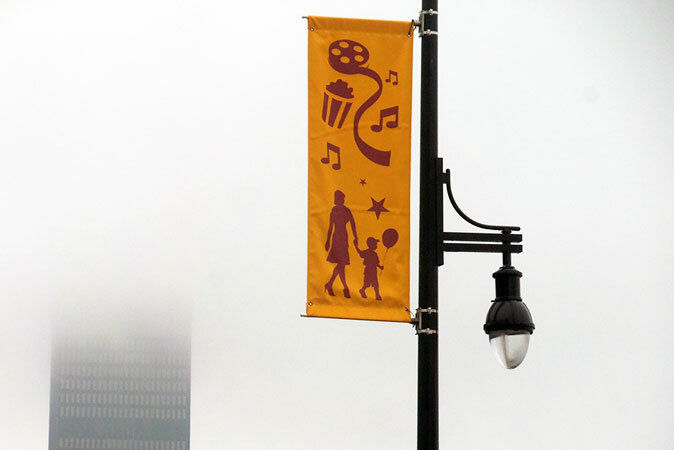 The new branded image was intended for use in marketing activities including an annual neighborhood international festival and on street banners. Nodes/ Intersections/ Crossroads: The avenue has many intersections with thoroughfares leading to other neighborhoods, and it is in proximity to major highways leading in and out of the city, suburbs, and beyond. 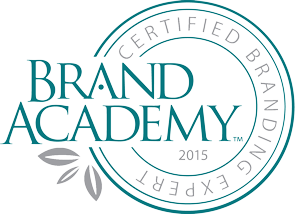 Opportunity: To work, live, eat, shop, etc. Illustrations of people participating in typical activities, such as a mother and child or waiter serving drinks in a restaurant, adds warmth, humanity, and a sense of community. 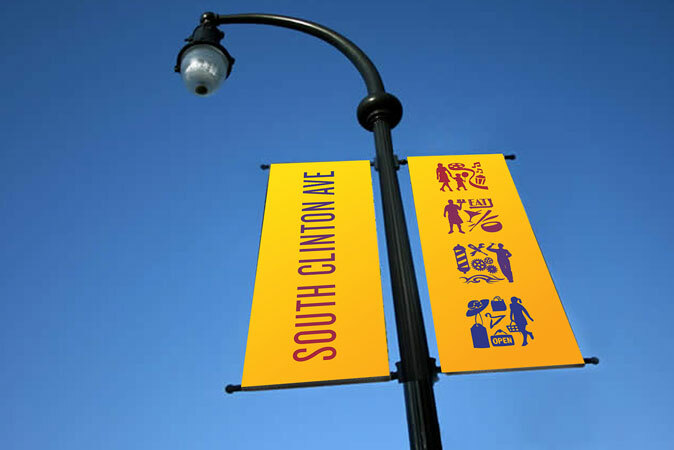 The logo and its application to street banners up and down the street reveals the South Clinton Avenue neighborhood as a clear destination – a place with a diversity of amenities and a fun, friendly feel. 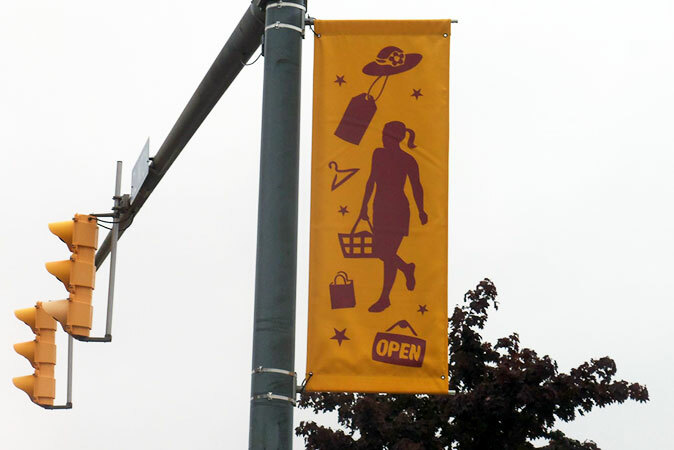 The logo is highly flexible for a range of applications such as the street banners shown here, and a sticker that members along the Avenue can display in their locations.